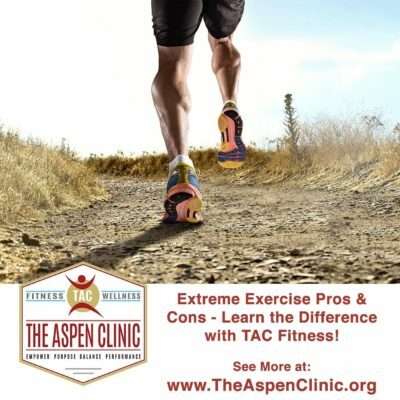 Extreme Exercise Pros & Cons – Learn The Difference With TAC Fitness! At TAC, we believe that you will leave feeling better than when you came! But we can’t do that if we don’t know about any injuries you have or if you are new to a certain class or types of exercises. So let’s work together to ensure you get the most out of your time at TAC and leave feeling rejuvenated and enhancing your wellness! This article is about extreme cases of the harmful effects that intense exercise can have. It is important to remember that the intensity of a workout can have both positive or negative effects and it is up to you and a fitness professional to figure out how best to ensure only the positive. At TAC Fitness – our trainers and staff are here to help you! We can assist you in learning about your body and your workout to ensure you successfully meet your goals and avoid injury!